Welcome to the latest episode of The Simply Smart Business Show. 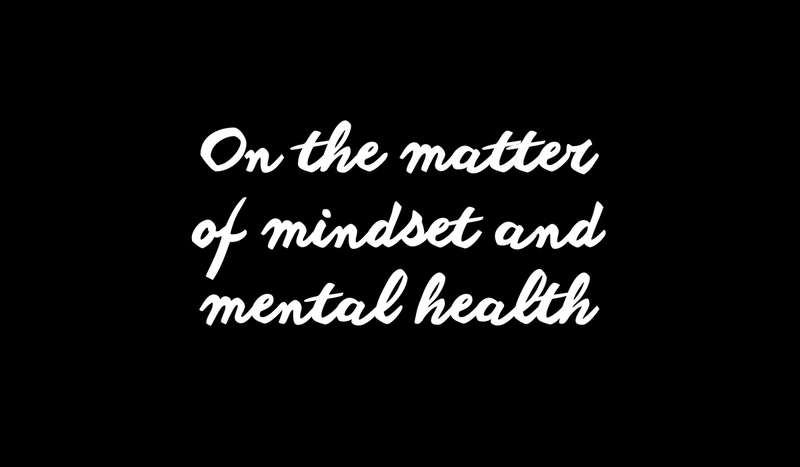 In this show, I’m talking about the important distinction between mindset and mental health. If you can’t view the podcast player above, click here to listen. In the online business world, there’s an awful lot of talk about changing your mindset or having the right mindset and your mindset getting in your way… In fact, I spend a lot of time talking about this myself. It’s one of the core pillars I work through with each of my clients, alongside strategy and implementation. But I want to draw attention to the difference between mindset problems and mental health problems because they are not the same thing. It’s a bit of a tricky grey area, and quite difficult to unravel, which is exactly what makes it so dangerous. When we talk about mindset, we’re talking about a belief system that we have (and may have had for years). When we talk about mental health, we’re talking about a chemical imbalance or a traumatic experience that causes issues that stop you from functioning in a way that you should or could. They can be interlinked. A mental health problem could bring on mindset issues, but that does not mean they should be treated in the same way. The problem is that a consultant who focuses on mindset issues may not spot that their client is actually suffering from a mental health issue. This is the danger because some advice could actually damage that client rather than helping them. This is something I’m building up in my business because it’s something I really recognise. I’m a survivor of childhood trauma myself. I’m also a psychology graduate, with a deep understanding of mental health. I know the difference between mental health issue I dealt with in the past, and the more recent mindset issues I’ve been plagued with, which are purely around beliefs and negative self-doubts. It takes a very different approach to deal with each kind of problem. Because of my own personal awareness, I feel like it’s my role (and my responsibility) to spot the difference and refer a client to somebody that can help them where I can’t. Professional support is so important when it comes to mental health, and that’s not what I’m qualified for. I would do more harm than good if I tried, so in that situation, my job is to help find the right person to support them. As coaches, or consultants, or mentors, we need to take this responsibility seriously. Yes, we need to have boundaries in place and make it clear that we do not have what it takes to help them with that particular problem, but we should also have steps mapped out for them to follow. I would not feel right about leaving someone high and dry when they’re in such a vulnerable place. So for me, those next steps would involve referring that client to an appropriate expert, and I’ve worked to surround myself with professionals that can fill that void.